If you or a family member have been injured at a New York construction site either as a construction worker or bystander, you’re probably feeling excruciating pain and receiving huge medical bills. You want the employer, landlord, contractors, and their insurance companies to pay for your bills and compensate you for the injuries you suffered. But they and their insurance company will hire investigators, doctors, and lawyers to defend their own interests so they can save their money by not paying you for what suffered. Frekhtman & Associates will fight for what you deserve. We focus on taking serious construction accidents to trial and winning maximum compensation for victims like you. We also obtain favorable settlements. We represent our clients in civil court and construction accident worker’s compensation administrative claims. We have decades of experience representing the hardworking people of New York in construction accident cases and have a strong track record getting compensation for victims. Some of the construction accident cases we handle are ladder accidents, scaffold accidents, crane accidents, electrical accidents, welding accidents, slips & falls, and other accidents caused by a lack of safety equipment or devices. We have helped victims in all of the boroughs from Brooklyn to Queens. We’ve obtained some of the top record-setting million dollar verdicts in the state of New York for our clients. Our firm won a jury verdict in a falling object accident and won $2,800,000 for our client. Before that, we obtained $4,000,000 for a crane accident case. At our firm, you don’t pay our attorney’s fees until we obtain money for you first. Many victims of construction accidents don’t pursue their legal rights because they fear it will cost too much, even when they have serious injuries like a brain injury. We believe that everyone should have a fighting chance against big companies and their insurance carriers. Our goal is to benefit the people we serve. Many of these accidents occur because employers and vendors don’t take proper steps to protect their workers. 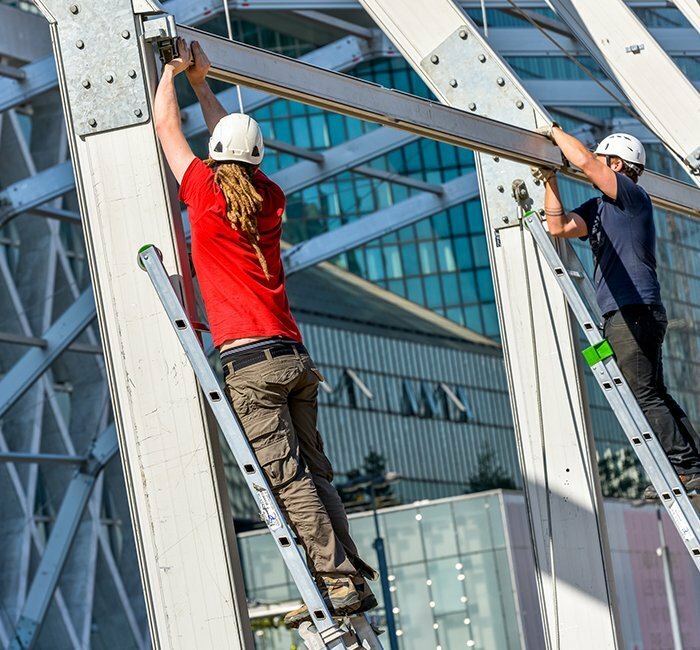 According to the Occupational Health and Safety Administration, the most common violations for the construction industry in 2015 were when employers failed to provide fall protection and follow basic requirements for scaffolding. Your first step should be to seek immediate care from a medical professional. This is not only important for your well-being; it creates an official record of your injury. Ask your employer if you should use an in-network doctor for the sake of workers’ compensation insurance. If you don’t agree with their assessment, seek a second opinion. Don’t worry about the costs of your medical treatment right now. Workers’ compensation benefits will pay for any qualified medical expenses, and you may even be able to file a negligence claim against a third party. To collect workers’ compensation benefits, you’ll have to report your injuries to your employers so they can file a claim with their insurance company. Keep in mind that there are filing deadlines for workers’ compensation claims, so it’s best to file the report as soon as possible. Be thorough when telling your employers the details – outline what happened, what you were doing, and where you’re experiencing pain or discomfort. Avoid mentioning what you think you may have done wrong at this point. Ask for a copy of the incident report for your records. Keeping your doctor’s appointments is important not only for your health and recovery, but for the health of your personal injury claim. If you fail to follow doctor’s orders or fail to follow up with your provider, the courts might think that your injuries are not as serious as you say – or perhaps your noncompliance exacerbated any injuries. Do everything that your healthcare team says to get better. New York law prohibits employees from suing their employers for negligence – this is why the workers’ compensation system exists. However, there are many instances in which third parties are to blame for worker injury – for example, the installer of scaffolding or the misconduct of a subcontractor may be liable. 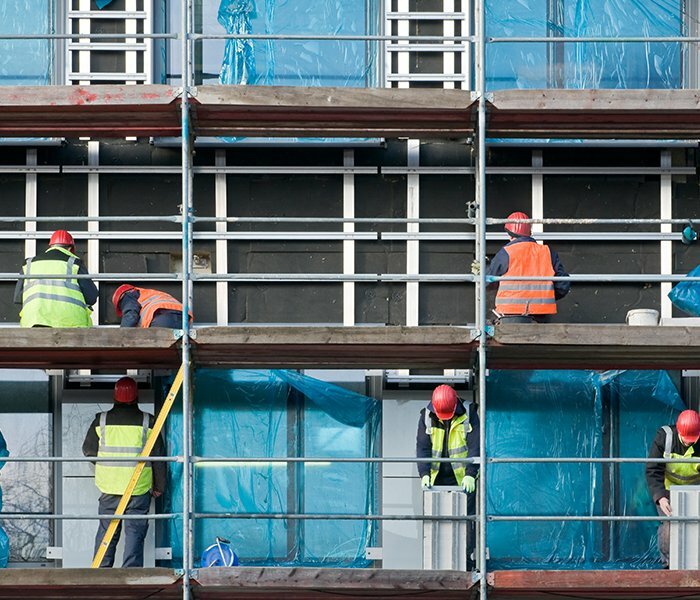 The attorneys at Frekhtman & Associates have long been representing New York’s hard-working construction employees and helping find third parties responsible for negligence. Schedule a free initial consultation with our firm and let us explore your legal options. Avoid making the mistake of hiring an attorney when it’s too late. Many victims injured on construction sites make the mistake of talking to their employers, landlords, and insurance companies and having their conversations recorded and used against them in court. There are many other pitfalls that you need to avoid when dealing with an accident, including going through the worker’s compensation administrative process. Don’t let the construction accident change your family’s life for the worse, especially if you are the sole provider and earner in the household. We can help. As per New York law, an employee cannot sue his or her employer for on the job accidents because the only option available is to pursue a Worker’s Compensation claim. Worker’s Compensation is a form of insurance which pays for lost wages and medical expenses as well as other benefits. However, in case a worker is seriously injured to the negligence of a third party involved, that worker can pursue a third party claim under the Labor Law. A workers compensation lawyer experienced in handling construction accidents is vital. General contractors, architects, manufacturers, and landlords constitute third parties involved in construction and can be sued for accidents and injuries or wrongful death at a construction site. New York Labor Law 240(1) and 241(6) are the most common construction accident statutes employed in such lawsuits. New York State laws protect the construction worker and in many cases impose absolute liability on the general contractor and or landlord/site owner. Our firm recently won a jury verdict in a falling object accident at the Yankee station subway station obtaining $2,800,000 in April 2007. Before that, we obtained $4,000,000 for a crane accident case in Brooklyn. A construction accident in New York City may be a life changing event to the worker and also to the construction worker’s family because these workers are often the sole provider and earner in the household. Frekhtman & Associates works closely with construction safety engineers and experts to investigate, uncover, document, and ultimately prove safety violations at construction accident site. Whether it was Labor Law statute, industrial code, or Occupational Safety & Health Administration (“OSHA”) violations our law firm spares no expense in hiring top safety experts ensures that our clients obtain the best possible results. We also retain economists, life care planners, and vocational rehabilitation specialists who are intimately familiar with construction work. This will help to obtain the largest recovery for our client at trial. The Labor Law in New York is intended to protect workers and ensure their safety. The law mandates that owners and general contractors provide workers a reasonably safe place to work. Specifically, NYC Labor Law section 240 states that construction site landlords as well as general contractors on the job site provide safety protection devices for workers to prevent elevation related injuries. apply to demolition, alteration, painting, cleaning, and other types of construction work. cover both non-union and union employees. protect all workers including those living in NYS and out of state labor even including illegal immigrants. protect various types of workers including inspectors, engineering employees, surveyors, utility workers, operators of equipment, bridge workers, and the more general day laborers and workers as well. If an accident is caused by lack of proper and required safety equipment or other violation, the worker can file a construction accident lawsuit under New York State Labor Law 240, 241, and or 200. Under Labor Law section 240, construction site owners or landlords of the premises where the work is being conducted, general contractors supervising the work and their agents are held strictly liable for injuries to construction workers caused by a lack of safety equipment or safety equipment which is poor. Labor Law 240 would apply if a worker falls from a ladder or scaffold. If a ladder, scaffold, or other safety device malfunctions, collapses, falls down, or is improperly placed, New York Labor Law section 240 is violated. The labor law presumes that a safety device that failed, collapsed or fell down was defective. If the site owner or general contractor engages someone else to make sure the safety equipment was sufficient, such as a construction site safety company, they will nevertheless be at fault for any violation together with the safety company. A New York State Labor Law lawsuit can be won if a ladder slips or if a scaffold collapses. Recent decisions from the Court of Appeals and the Appellate Divisions have sustained Labor Law cases where a construction site accident occurred due to a gravity related event. Gravity events include those where a worker falls from a height down to a lower level such as from a ladder or scaffold, causing paralysis. It also includes situations where building materials being hoisted or secured fall from a height and strike a worker below.